Leeds Mover provides top class removals solutions for all residential move requirements as well as for small, medium-size and large businesses across the UK. Through our nationwide group of moving firms we combine regional ability with many years of experience in removals. Our nationwide presence means we can relocate goods at very competitive rates. For us no move is too small, too big or too complex. Unlike most of removal companies in Leeds we offer free no-obligation survey, free quote at very competitive rates, and free advice. One of the crucial aspects when it comes to finding a right removal company is the confidence. That's why, it is very vital for you to interview our representatives to make sure they are the right people you'd like to deal with. Please note that our house removal companies Leeds will meet you at your premises at no cost to assess your requirements. Don't take any chances, book free technical survey! 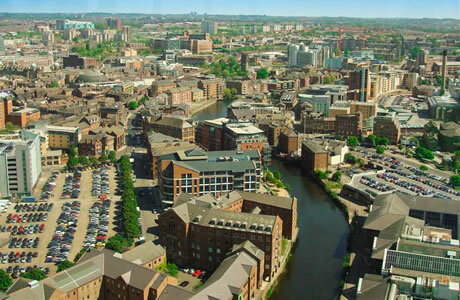 Our Leeds removals firm provides a complete variety of moving and storage services. Whether it is a small man van hire, full home moving or a business relocation we have the expertise and resources to help. As well as UK residential moves we provide worldwide removals from Leeds to almost all destinations across the oceans. There is no doubt that moving house or office in Leeds is one of the most serious event in your entire life. To reduce the unavoidable stress that will come with certainty at some point of your removal we will make sure that your move will be as effortless and pleasing as possible. Apart from the Leeds removals we also do international removals Halifax and all Yorkshire. As one of the largest autonomous group of moving companies in the UK, and with a continuous dedication for first-class removal service, we have the man power and the right skills to tailor each office and house removals Leeds to your unique requirements. Our firms offer an number of different UK and worldwide removals and storage services. Starting with as small as 1 item or just one box moves and ending with full property removals Leeds or complex office relocations projects. 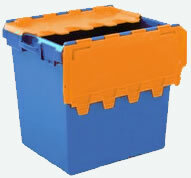 We also provide packing materials, to protect your goods while moving. We also do removals in Bradford and other areas. With our partners and their over 240 offices all over the country we are in position to deliver a reliable, high quality and cheap removal service that will suit everybody's requirements. The storage services are also available for students, private and corporate clients and for those that are planning to hire a shipping company in Leeds to send goods abroad. Guide to office relocation. Find out the best removal companies and cheapest moving prices in Leeds. Our move managers are waiting for you to get in touch with us. The house and office removals costs we offer are based on local rates. Cheap removals in Leeds - 06.07.2013 - July 3013. Removals Leeds company ensures comfort and safety of property we are moving. Valuation of removals is based on the house survey, local rates. The calculations are done by one of our experienced man a van surveyor. The house removal cost offered is fixed and includes the scope of all work agreed. There is no hidden extras. We also offer safe removals and fireproof cabinet moving services. Only now to each Package Services we add "helping hand" for free! This home moving service is your guardian available by telephone during the planning and preparation to the move. It expert advice and support you need from one of our removal managers. At Local Leeds Removals we offer additional residential relocation services, answers to frequently asked questions, moving tips, relocation information to help you better prepare yourself to the moving day.